FRESH, LOCAL TRADE! ONE-OWNER! 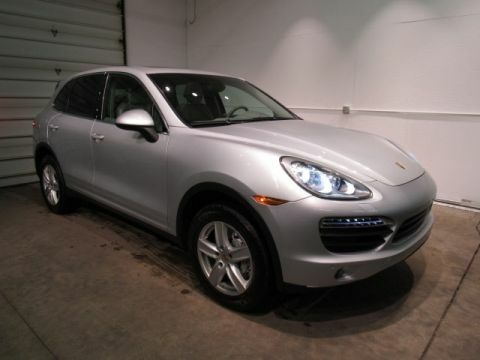 This 2012 Cayenne S had a new MSRP of $93,900 when it was new and is VERY well-equipped! Optional equipment includes 21-inch Cayenne Sport Edition Wheels that now have BRAND NEW tires on them with Painted Wheel Arch Extensions, Premium Package Plus, Heated Windscreen, PCM with Navigation, Air Suspension with Porsche Active Suspension Management (PASM), Heated Steering Wheel, Panoramic Sunroof, Bose Audio.. and MORE! Also features the rare, stunning two-tone Natural Leather interior in Espresso/Cognac color combination with contrast stitching! Call 414-290-1400 for more information and schedule your test drive today - this vehicle won't last!